Installing quality roofing will help protect your home from the elements. That said, there are rare instances when your roof underperforms unexpectedly. This can be due to faulty installation or unnoticed product defects. In any case, roofing warranties will protect you from these issues. Ask your roofer if your residential or commercial roofing in Knoxville, TN, warranty coverage includes manufacturing defects in the materials and workmanship errors. Material-only warranties only cover those issues that may cause leaks in your commercial building or home. Labor and material warranty, however, should include installation. Only licensed or approved contractors can provide installation that comes with this coverage. This also requires inspection by the manufacturer’s technical representative. What are differences of No Dollar Limit, Original Cost, and Prorated? A “no dollar limit” warranty is an assurance that the manufacturer will spend whatever it costs to repair leaks. Meanwhile, with an “original cost” warranty, the manufacturer is only obligated to repair leaks costing up to the total of the original roof purchase. Lastly, prorated warranties lose value over time. Who is backing up the warranty? Many contractors provide their own warranty against poor workmanship lasting as long as 10 years. That said, coverage is only good for as long as the roofer remains in business. Since roofing is a “high-turnover” business, many roofing contractors go out of business within five years. That is far less than your roof’s life span. For this, it helps to work with a roofer that offers manufacturer-supported warranties in case you need an efficient roof repair in Knoxville, TN. Innovative Roofing and Siding takes pride in being a GAF Master Elite™ contractor. This allows us to provide you with superior roofs that can withstand severe weather conditions and strong winds for a long time. As a GAF Master Elite roofer, we can provide you with their best warranty available, the GAF Golden Pledge® Limited Warranty. This covers 100% material defects for 50 years and 20 years for three-tab shingles. It also covers 100% of installation labor costs for the lifetime of the roof while three-tab shingles are only covered for 25-30 years. Additionally, it provides 100% workmanship coverage for 25 years including misapplication of certain flashings with coverage provided and backed by GAF. Tear-off and disposal costs are covered for both material defects and workmanship. Lastly, this also includes problem prevention with a 40-point factory inspection. 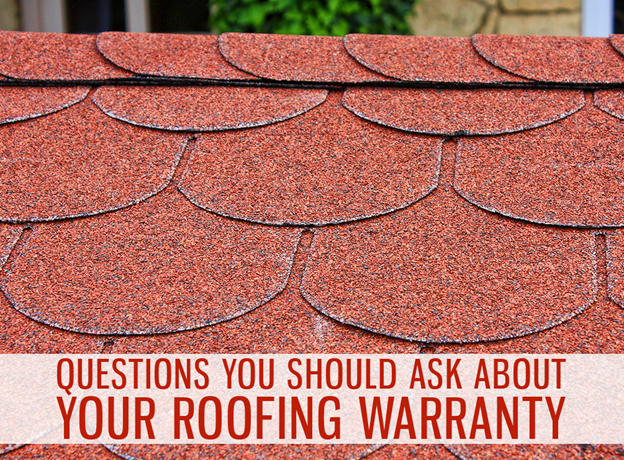 Always ask your roofer about the warranties that they offer. Let one of our roofing experts at Innovative Roofing and Siding provide you with the details of our GAF-supported warranties. Call us today at (865) 444-6070 for a FREE estimate.